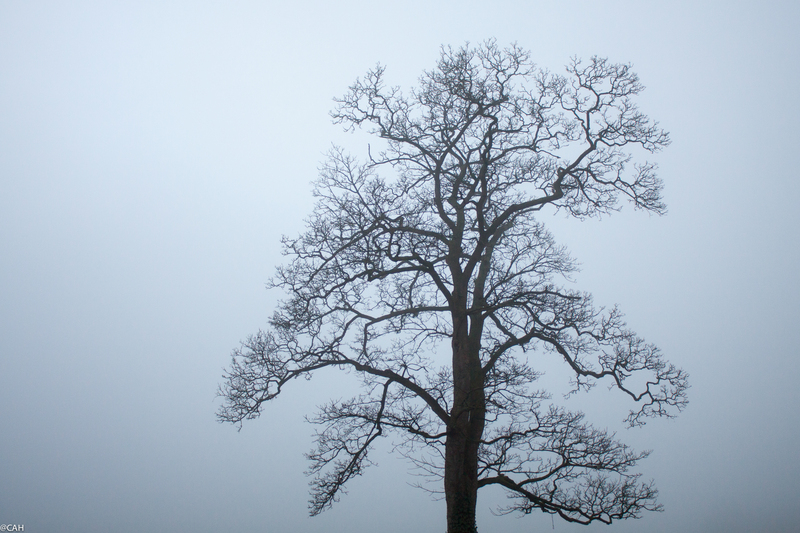 Thursday was a cold misty day and as we are having some work done on the house, it is full of dust and disarray. So, I was happy with the plan to spend the weekend in Edinburgh while James visits his parents in Northern Ireland and set off this morning. The M6 was quiet although there are plenty of road works with speed restrictions. 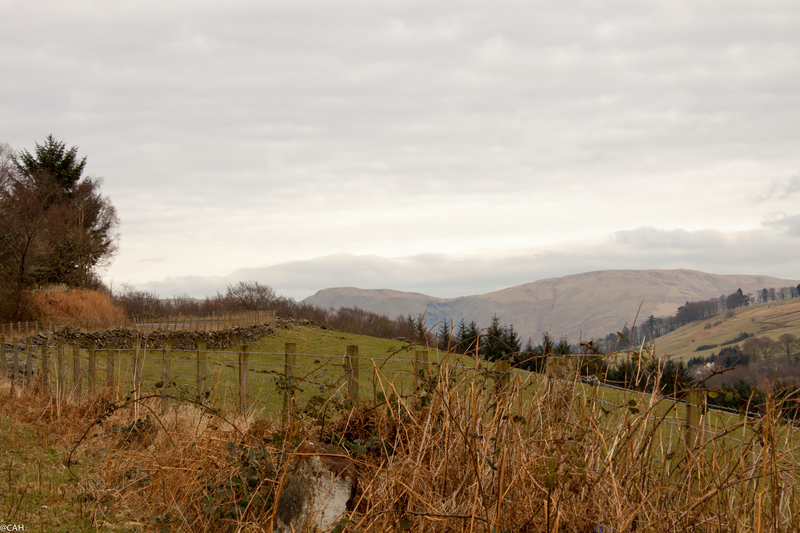 I had a coffee stop at Tebay and took a photograph of a derelict cottage sitting between the M6 and the West Coast Mainline. 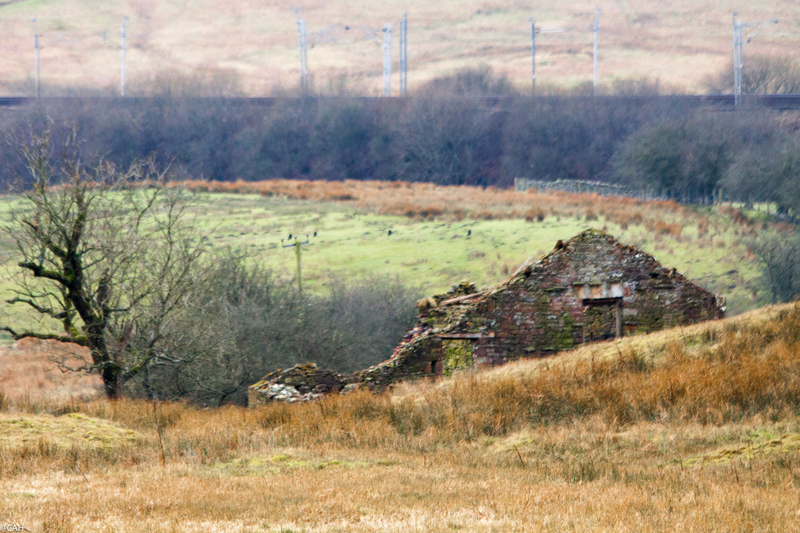 I often wonder who lived in abandoned buildings and what stories are hidden in the stones. 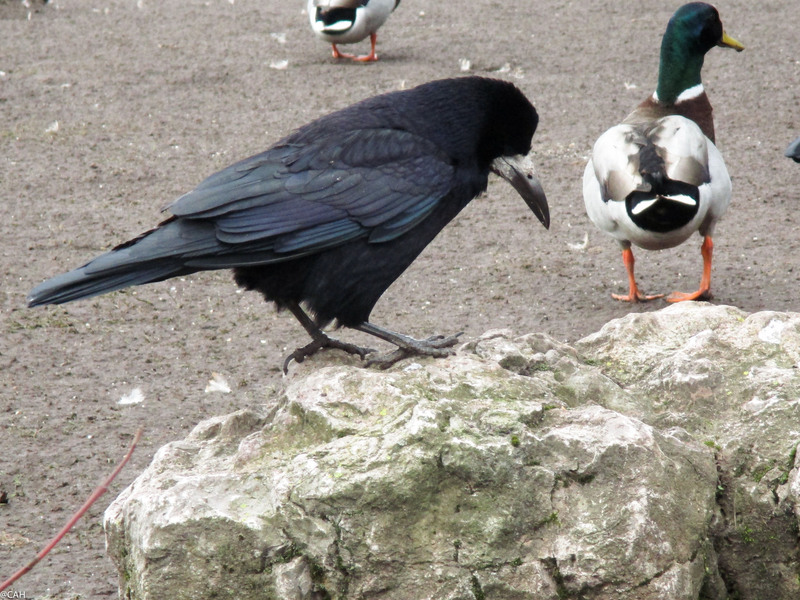 A rook was hoping to join in the duck feeding session outside the restaurant. 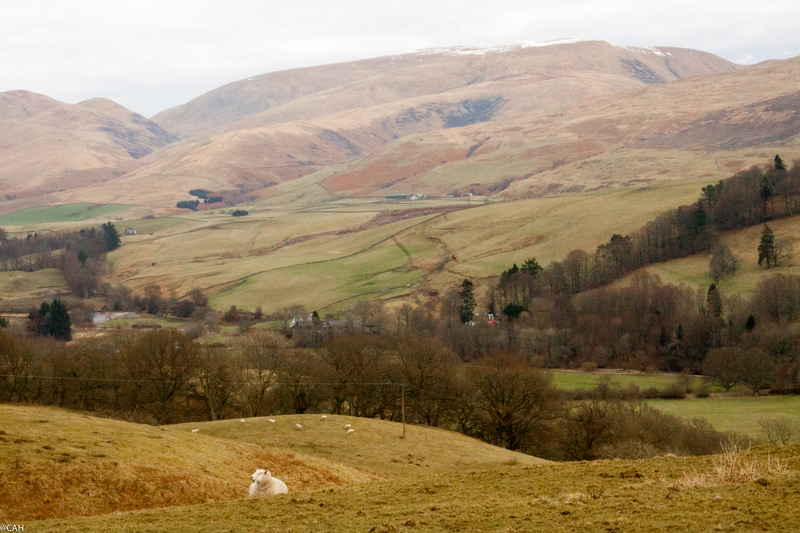 Back on the road I could see snow on the tops of the Pennines, the Cumbrian hills and the Southern Uplands. 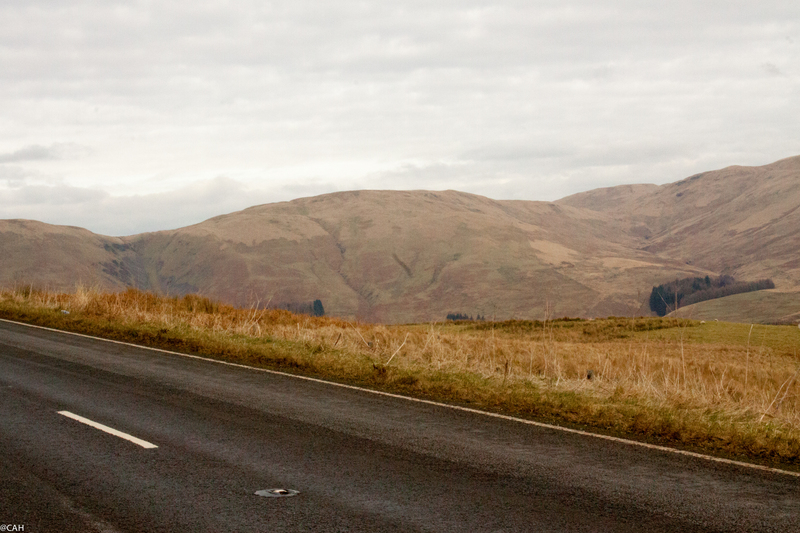 I varied my route from the M74 and took the A701 to Moffat. 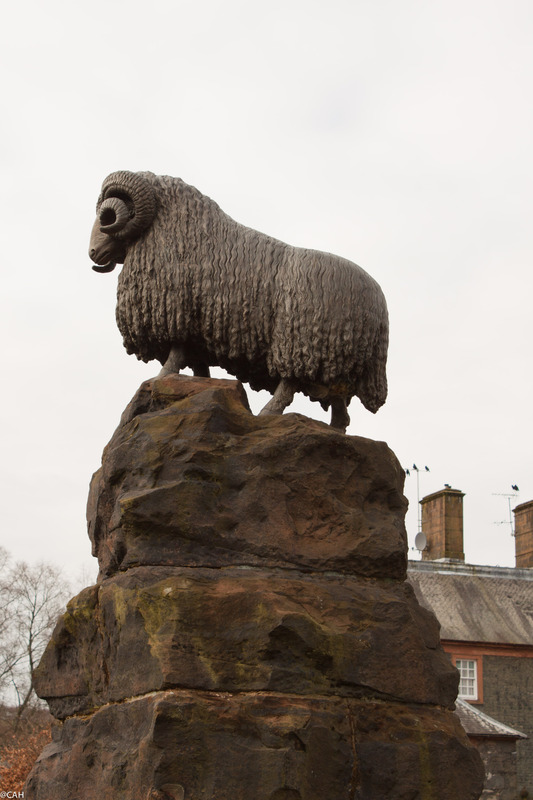 I was at university with a guy from Moffat who was always teased about the fact that the statue in the middle of the town is of a sheep rather than some local or national worthy. Wool remains an important source of income for the area with tour buses visiting the mill shops. The town has several independent shops, two secondhand bookstores, scores of places to have coffee/eat or drink and nature reserves and a river walk. 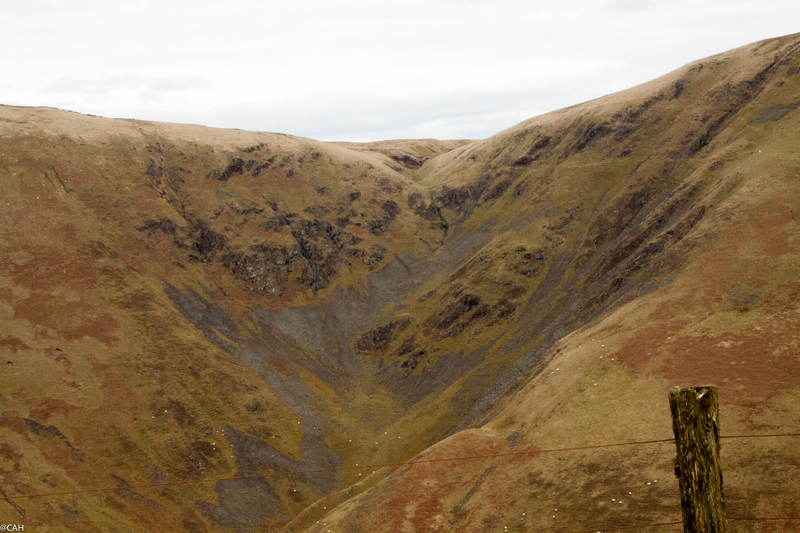 It is also only 10 miles from the Grey Mare’s Tail waterfall which I have not been to for years. All of this will need to be explored and enjoyed more slowly on another trip as I wanted to get to Edinburgh with time to get some things done there. 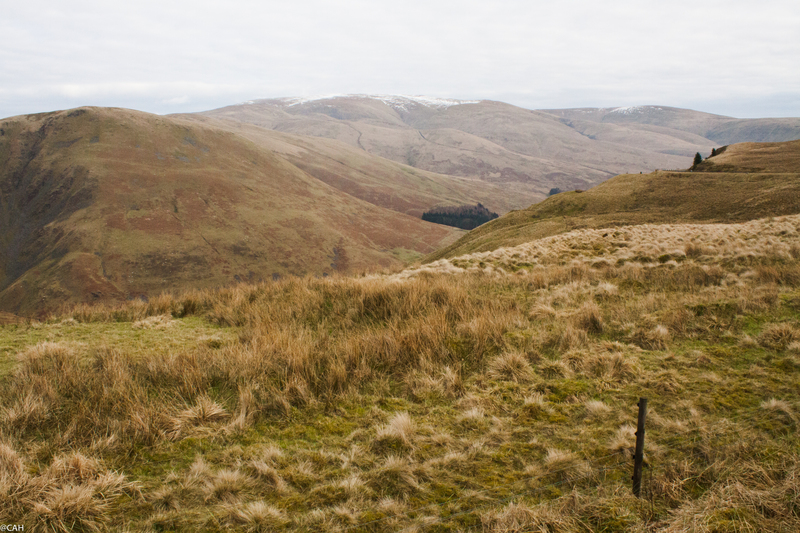 The road is billed as a Scenic Route and just north of Moffat there are lots of places to stop and take photographs. Further north the road was busier and although there were lots of other photographic possibilities, it was harder to stop. I made a note to revisit this road in the hour before sunset. I passed through many of the small villages and towns which were covered by the hospital I first started my psychiatry training at 30 years ago and I also followed a varied selection of vehicles as I approached the city. 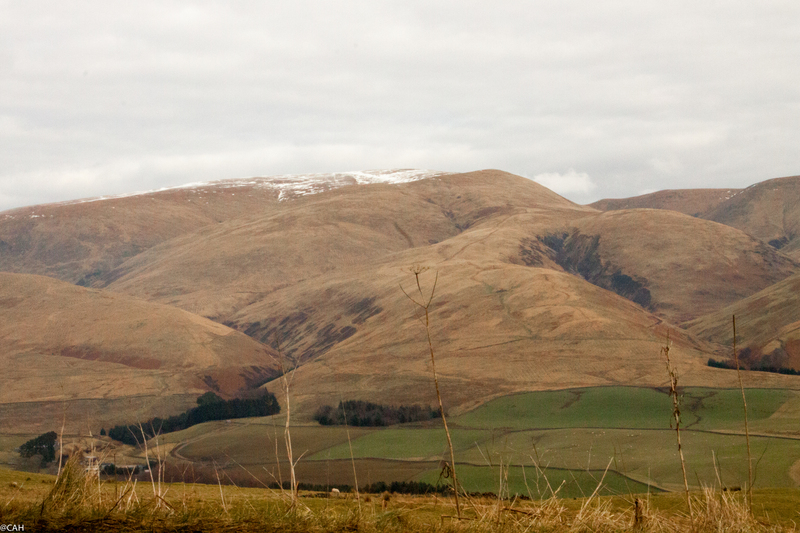 For most of way until I was past Penicuik it was a truck with an old military Landrover Defender on the back. After that I was slowed down again by a bus which I could not get past until he found a bus lane nearer the city. After filling up with diesel and heading to the bypass, I suddenly found myself behind two brightly coloured Lamborghinis which needless to say, did not hang around once they got onto the bypass. Just south of the flat I hit the last temporary traffic lights of the day. Had lots of fun reading this – wow, any town that has a sheep or other animal for its main statue is *my* kind of town! I’m a little burned out on the human race…..I also love the fact that Moffat has not one but two secondhand bookstores & many coffee shops. I need to get out of town. Los Angeles did *not* count.